If you're doing it right, you'll squat yourself right out of your wardrobe. 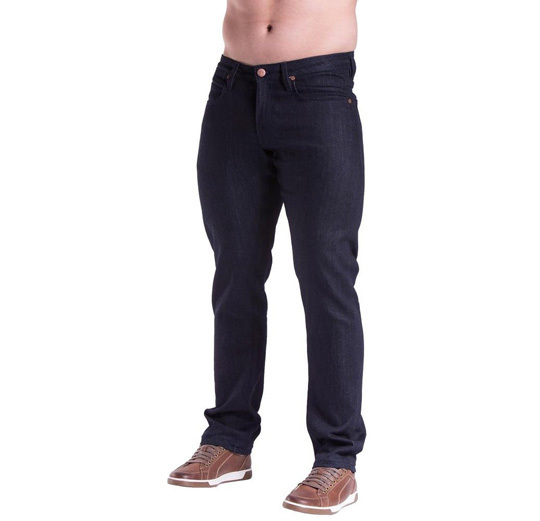 With an emphasis on mass production, it can be hard for athletic men to find jeans that offer the proper silhouette. Use these tricks for keeping your legs and your good style. I think the general consensus if you’re a little out of shape is that finding clothes is effortless when you have an athletic, muscular physique. But if you’ve trained legs consistently, you know the truth: That after a lot of hard work to transform your body, you’re once again in a place where nothing fits. Combine a well-developed physique with a love of style and you have a bit of a problem on your hands. During the bulking months, my thigh measurement usually approaches 26 inches with a waist size of 32. Considering that denim in a size 32 waist is meant for guys with 20 to 22 inch legs, it was never exactly a match made in heaven. My inner thighs wear out pants at an alarming rate – two pairs of raw denim and a pair of chinos this past winter alone. I’m far from the most muscular guy on the planet. So I know that if I’m having trouble finding pants that fit, the rest of my barbell brothers are definitely up a creek. It’s the common dilemma for the gym-goers who consistently hit their squats and deadlifts. When shopping for pants, denim in particular, you’ll find that if the hips and thighs fit, the leg openings and/or waist is going to be enormous. If the leg has that nice taper you’re looking for, there isn’t a chance in the world that you’re going to be able to get them past your knees. And if you are squeezing yourself into jeans that otherwise fit but are way too tight in the hips and thighs, you’re probably experiencing pain when seated due to the limited range of motion requiring you to round your back unnaturally. But as much as I like to complain, I have to admit that it makes perfect sense from the manufacturer’s perspective. Lean muscular guys are the minority and mass-produced clothing is designed to fit the greatest number of people possible with a single fit. Instead of getting sour about it, I like to see it as an accomplishment to be outside of that “normal” fit. Since most manufacturers aren’t specifically catering to the lifting crowd, we’re going to have to find a few work-arounds. There really aren’t many brands that accommodate tree trunk thighs, so buying that perfect pair of jeans off the rack is a rarity. Even if one guy finds a pair that works for him, that same cut won’t work for everyone. So rather than give a definitive list of jeans that are perfect for me, I’m going to share with you the “hacks” and tips I’ve accumulated over the years to help make the most of that almost perfect pair. In addition, to direct you to the best starting point, I’ll also list a few brands and fits that I and some of my compatriots have had success with previously. Alterations don’t have to be reserved for jackets and dress shirts. It’s much better to spend the extra money having one or two pairs of jeans tailored to fit perfectly than it is to have a closet full of pants that have to be cinched up with a belt. Before you have denim tailored! First and foremost, don’t hand over your precious denim unless you’ve found a tailor willing to listen to you. All too often, tailors are rushed and have the “yeah, yeah, hand ‘em over” mentality and will just make the alterations as they normally do. Since then, I’ve made it a priority to use a tailor I trust and to be abundantly clear about what I want. Secondly, wash or soak your new denim before attempting any alterations. It would be a sad day to have them tailored to fit your body perfectly, only to have them shrink to an unwearable size after the first wash. Finally, if you’ve purchased raw denim with the intent of breaking it in on your own, make sure the tailor is very clear about your preferences. Sometimes they’ll throw in a free cleaning and/or pressing, which can ruin your attempts at killer fades. Buy one to two sizes up and then have the waist taken in. I’ve found that going for a slim, straight type of jean gives me a good fit in the ankles, thighs, and hips, provided I go up a couple sizes in the waist. But then, I’m obviously left with a massive, gaping waistband. Rather than cinching them up with a belt, a better solution is to take them to a good tailor to have the waist taken in. This is a fairly simple alteration and can be performed by any tailor experienced in working with denim. Just know that certain proportions like the spacing between the back pockets may get a little wonky if you take out more than two inches or so from the waist. Buy relaxed fit and then have the legs tapered. With suit jackets, it’s best to find one that fits in the chest and shoulders and then have everything else altered to fit. With denim, consider yourself lucky if you can find a pair of jeans that fit in the thighs, hips, and waist. Even if they are too baggy from the knee down, the legs can easily be altered. It’s best to go in with an end goal in mind. Find a pair of jeans that fit really well at the ankle and then measure across the hem when lying flat. They should come out to be something like 7 or 8 inches for a tapered, but not skinny, fit. Be careful though – you have to be extremely clear about what you want. Most tailors aren’t used to working around muscular physiques and will run the taper all the way up to mid-thigh or higher. Even after they’ve seen how tight your pants are on your thighs. Also, if you’ve purchased selvedge denim and are interested in preserving the original outseam, be specific in requesting that the alterations are made to the inseam. Have you tried denim with built-in stretch? I know, it hurt me to even type that as any self-respecting denim enthusiast is going to be reluctant to wear stretchy denim. 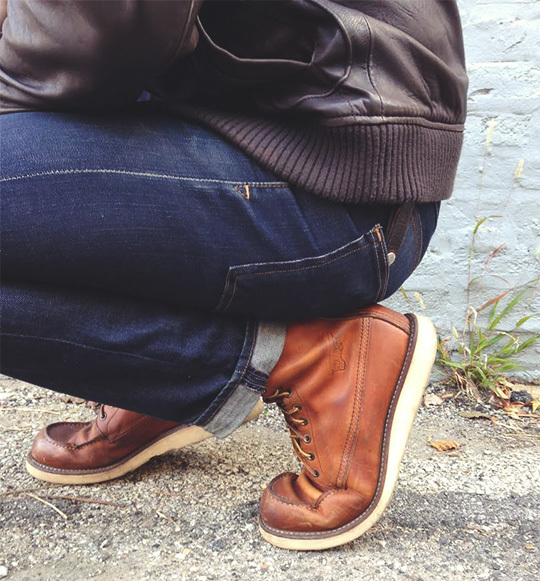 In my mind, jeans are tough, rugged, and masculine and the fabric should reflect that. Soft, stretchy denim can seem impractical, like a pair of silk boots. But I changed my tune the first time I was able to squat to parallel in a pair of extremely tight jeans that were brand new! For the guy with an athletic physique, it’s entirely possible to find a pair of jeans with 1-2 percent elastic and have them fit comfortably right off the rack. You may not be able to develop heavy creases and fading as you would with a good pair of rigid denim, but sometimes you have to make sacrifices if your idea of a good time is sliding more plates onto the bar. When buying raw denim, the idea is to make them your own with unique creases and fades fit to your body. And this means infrequent washing. With a less regular washing and drying routine, raw denim is given the opportunity to stretch a little bit. But you can apply the same infrequent washing scheme to other kinds of denim. All denim is a little different, but as a general guideline, if you can squeeze into a pair of jeans, they’re big enough to stretch to a comfortable fit within a few wearings. You can hasten this break-in process with the next tip. Conventional internet wisdom says that to get a perfect fit, wear your jeans while wet and perform some squats. This sounds like a solid plan of attack, but in practice, it doesn’t quite produce the desired outcome. My first venture into raw denim was a pair of Levi’s Shrink to Fits. Upon the first soaking, I followed the common advice of squatting in them while they were still wet. It was a well-intentioned effort, as I figured it would stretch out the thighs just right. But the result of squatting down in soaked jeans? The knees dried in an extremely bulbous shape and the seat was stretched out like a saggy diaper. The thighs did stretch, but it didn’t produce the overall look I was going for, and so it was back to the soaking tub to shrink the exaggerated proportions. On my next attempt, I figured I would let the jeans shrink completely, put them on after they’d dried, and then soak only the trouble spots with a spray bottle. I was able to stretch the thighs and hips while keeping the waist, knees, and seat unchanged. This can be done on any denim, not just the raw variety. All you have to do is get the tight areas wet, then squat, sit, and walk around for awhile then hang them up to dry. This technique is best paired with infrequent washing unless you have the time to turn it into a weekly routine. These jeans work really well for my athletic, but not huge, thighs. When new, they were pretty tight in the thighs and hips when bought in my true size. However, within a wear or two, they stretched to a very wearable fit. Another bonus is that the ankles aren’t as big as other straight leg jeans. I can wear this pair of jeans alteration-free, provided I let the hips and thighs stretch out and keep the washing to a minimum. These jeans are going to give you the room in the seat and thigh you need. The only problem you may encounter is the bagginess below the knee. 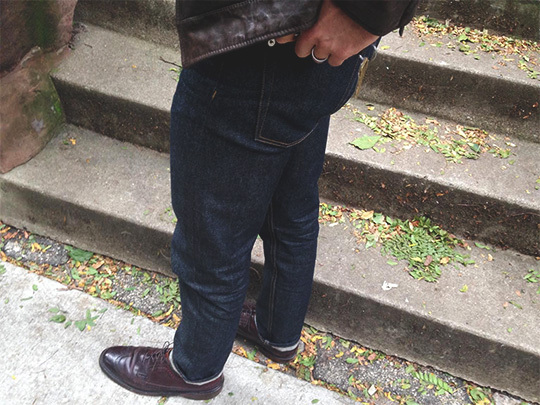 If you need more of a taper, follow my previous tip and find a tailor who’s comfortable altering denim. I put on a pair in my true waist size and they hugged my hips and thighs like a pair of yoga pants. “There’s no way in hell I’m going to be able to move in these,” I thought to myself. But I went for it anyway. First a slight bend, no resistance. Then a little more, still nothing. Next thing I knew I was in a below parallel squat in a pair of skin tight jeans! For the very muscular guy, going up a size or two will give you the extra room you need. If you’re a true behemoth of a man just looking to grab a pair of jeans without messing around with alterations or stretching techniques, go with the brand named after your favorite pass time. Until Barbell Apparel, denim made specifically for bodybuilders was nothing short of hideous. Historically, the only denim marketed towards bodybuilders resembled the JNCO Jeans that I’m ashamed to admit I wore in middle school. Now, with Barbell Apparel, even the biggest guys can grab a comfortable pair of jeans that actually look good. You’ll just have to learn to live without the patches, rhinestones, and embroidery. Sure, they aren’t the raw selvedge that you may be looking for, but if you want monstrous legs, you’re going to have to compromise a little. You’ve already done the hard work in the gym to get your body to where it is. That’s no easy feat. Finding a pair of jeans that fit correctly is a comparatively minuscule task. Between the tips, tricks, and suggested brands above, even the man with the most well-muscled thighs should be able to find or create a perfect pair of jeans for muscular legs with just a little effort and patience. Whether you want to focus on stretching a pair, having them tailored to fit your body, or skipping all of that and going straight for a pair from Barbell Apparel, there’s a solution for nearly every guy. Nate Lewis is a style and fitness writer and northwest Indiana native currently living and working in the city of Chicago. A proud husband and father of one, Nate quit his dead-end job in 2014 to launch Iron & Tweed, a site dedicated to helping men transform their bodies, their wardrobes, and their lives. Great advice and not just for big body builder types. One addendum, the stretch jeans can acquire fades, if you starch and iron them after a wash and/or use an delayed wash schedule. Consider a size smaller though, since they will still stretch out due to the cotton. I bought a pair of the Levi’s 541 athletic fit and they have been fantastic. Just the right amount of room and stretch to accommodate larger thighs. On a similar topic, I have a couple pairs of pants that have a gusseted crotch and they are extremely comfortable. Has anyone come across a great pair of denim that includes a gusset? Check out Duluth Trading’s Ballroom Jeans. High quality clothing and FANTASTIC customer service from my experience. All good, just adding that Bulletprufe is another awesome brand of stretch denim that have even more flexibility than my DSTLDs – if I could do the splits, I could do them in these jeans. I have these same hip/thigh problems and have discovered Levi 541s and love them. Any thought to doing a similar article on the shoulder/chest problem for more athletic/body builder body types? Would love some advice fit brands that would work. Where are the moc toe boots from under Option #2? “hacks”. please. stop with nonsense. not here. please. I bought some $16 stretch jeans with 2% spandex from Costco once. I went back and bought four of the same damn thing. Love em. All my lifting friends are converts too. Haven’t seen them in a while though! these primer guys are salty. deleting any comment that goes against his point of view. 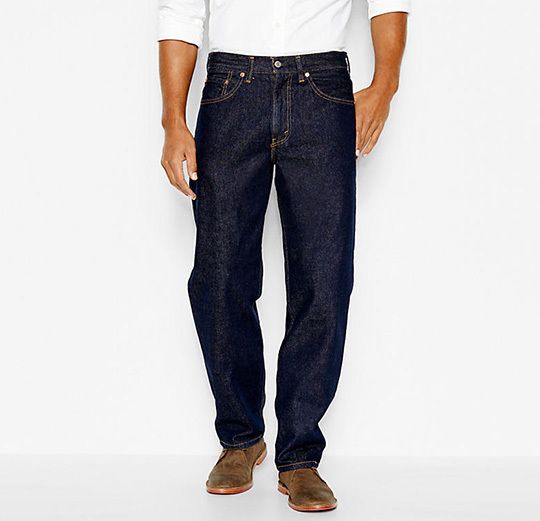 I have had luck with GAP straight-fit raw denim with a trip to the tailor for some tapering. Great article! I am a medium framed, 5’10” athletic type. After years of settling for relaxed jeans due weights and cycling, I have found that Bonobos straight fit and Levis 541 are good fits. Not tried tailoring yet, but will soon. Will also try the brands recommended here. The Buckle retail stores have great options for men of all shapes and sizes. Ask for the Ryan fit. So… I’m here getting advice for buying jeans for my husband, and I have to say, this article is so well written and helpful! Thank you so much, now I’m off to purchase #allthejeans for him. Being a bodybuilder myself I’ve heard that there is a new company called http://www.wellbuiltapparel.com just starting up and they look really good. They more affordable, I can’t wait for them to start selling stuff. It’s been a nightmare trying to get jeans to fit me. I have a pair of 541s that fit really well (still too baggy in the waste, though – mostly due to stretching out after wear after laundry). Can anyone suggest other brands that have a similar build to 541s that are reasonably priced? I’ve heard Gap makes one now? Good article, I’ve got the same problem and also have found good fits with the Gap Straight Selvedge and the Levi 541’s. My question is what to do with the pile of jeans that are in pretty great shape minus the shredded thigh/crotch area? Hi! I definitely agree with this being great advice. A matter of fact a couple of MBA students are attempting to launch a startup in the denim industry and would appreciate your help in filling out this 5 minute survey. The business idea targets consumers with an athletic build, specifically muscular thighs and calves. The survey will allow us to gain insight into current jean preferences and any unmet demand in the market. 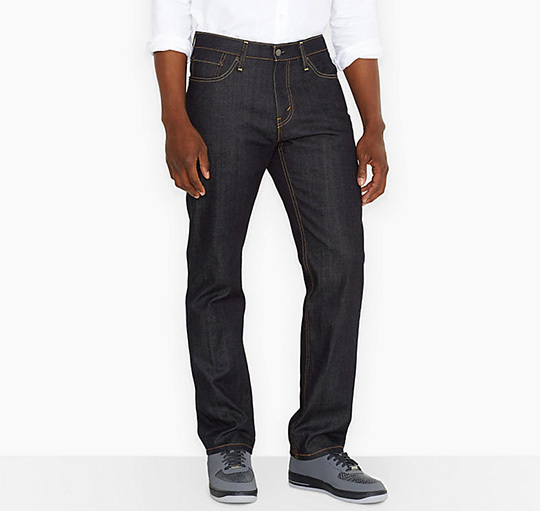 Banana Republic tracker jeans are a great option. 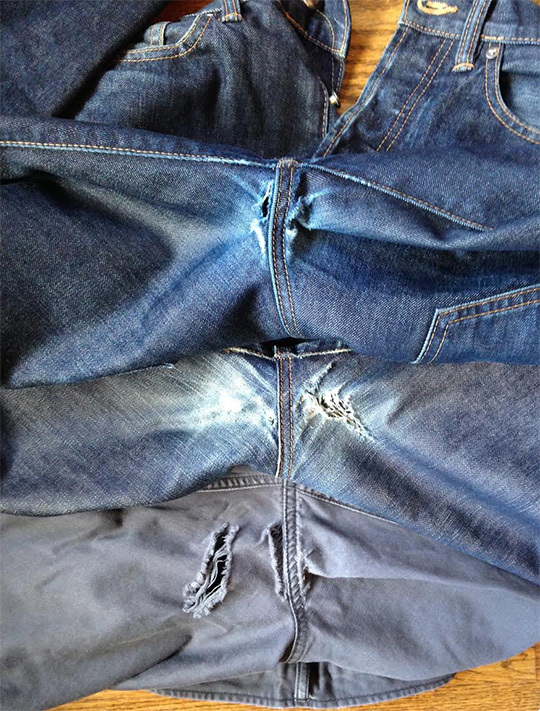 Glad to know that I am not the only one burning holes in denim. Its difficult to find a pair that can last more than a year. Great article, will by giving these some consideration. Great article. I know itès an old thread but had to share this. I have just discovered Jack & Jones Loose Fit or Boxy Fit. I’m usually a 30/30 or 32/30 but in these I ordered a 29/32 and the fit is perfect. I’ve never had a pair of jeans off the rack fit so well. There is no waist gap, low front rise, a higher rise in the back. They’re a good fit in the seat and legs…not loose and sloppy, a bit snug after a wash but thighs loosen a bit. And They are nicely tapered to the ankle. I was worried with them being called “Loose and Boxy”that they would be like boot cut and sloppy but they are nicely tailored for a slim taper to the ankle. I immediately bought another similar pair and love them. 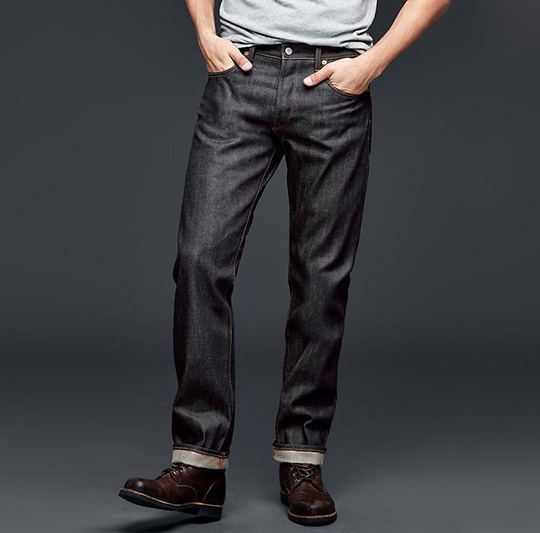 The 2 I got were: Jack & Jones Mens Boxy Leed 947 Strait Leg and the other: Jack & Jones Intelligence Jeans in Loose Fit. Love them both. These are my new Go-To Jeans. I recommend going a size or 2 lower than usual. Also, I found the lengths to be a bit on the shorter side so check their measurements carefully before you order. If that first pic is not my life! ?